Despite the differences in culture, ethnicities and languages, our friends in Singapore all share a profound interest in all things Italian. Coming from all walks of life, these precious friends are the inspiration in the creation of FAB Italia. Our activities and events are a way to thank them for their unending support and their utmost appreciation of the Italian culture, country and language. Here are some of their testimonial letters. Some are important reference for the Public and Private Singaporean and International Institutions. Others are among the students or participants to workshops or seminars, who left their friendly and passionate support and appreciation toward FAB Italia’s activities and events. Mr Righi has a very strong educational background and is […] a reliable, charming, enthusiastic, energetic person who has integrated will in the local community by participating fully in our activities and making his contribution. He is an eclectic versatile person with a Master in Business and Administration and 16 years of experience as general manager in Health, Social and Education fields. He has also obtained the qualification of trainer of Foreign Languages, especially referring to Italian, Latin, Greek, and Italian Cuisine, with the People Association. […] I have found him very open to new ideas and keen on entrepreneurship. He […] combines his passion for culture and food addressed to people and students who participate in lessons, seminars, and cultural events. Chef and GoodFood contributor Fabrizio Righi brings some Italian flair to the table in a fun and informative cooking demonstration with his workshops. He has a particular passion for ancient recipes from Ancient Rome and Greece. Fabrizio loves infusing his recipes with Asian spices and herbs but more importantly, sharing these dishes of culinary tradition with his community. He showcased to us a hearty three-course Mediterranean meal […] and entertained guests by passionately sharing about Italian culture, traditions, and, of course, the famous cuisine found in il Bel Paese (the beautiful country) as well. After delighting attendees with some lively anecdotes and laughs, the affable chef proceeded to put together a classic and inexpensive Italian dish of Pasticcio di Pasta, and invited a few eager members of the audience to assist in the preparation. This was especially useful for those who have always wanted to try their hand at making their own pasta from scratch, right from rolling out the dough. He then gave a step-by-step demonstration on how to make a Pasticcio of Vegetables all while readily handing out practical cooking tips. He also demonstrated how to whip up an easy yet impressive side dish of stuffed eggplant with grated vegetables. Fabrizio and I share a common passion for authentic all aspects of culture, be it in Italy or Singapore, from history, music and the arts, to folk culture, language and street foods. I am looking forward to some very enjoyable collaborative projects together. Given my responsibilities as Linguistic Director at TransMenu Pte Ltd, I know very well the professional capabilities of the Chef Fabrizio regarding not only his native Italian cuisine but also the vast repertoire of European terminology. His culinary ideas and gastronomic insights are extremely valuable. 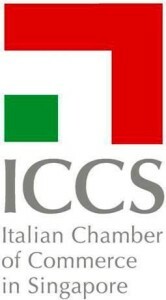 Mr Righi is a member of our ICCS. He is a manager who is also a qualified cuisine chef and trainer in foreign languages. Furthermore he is a passionate lover and promoter of our Country, Italy, which he expresses in projects, community involvement, language, cultural, and culinary activities open to collaboration with the institutions through his new-born company. We are looking forward to his active proposals and enrichment which he can provide with his value added experience and service to the prestige of our Italian community in Singapore. Fabrizio Righi's most powerful pedagogical tool is his indubitable passion and enthusiasm for the Italian language and culture. It is no surprise that students keep returning for more. 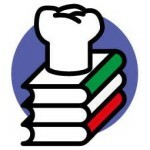 Fabrizio is very dedicated to his craft, be it in teaching of languages or cooking. There is never a dull moment in his classes. He has a wonderful sense of humour. It is wonderful to learn Italian cuisine, culture, and language from him. He brings with him a wealth of his knowledge. He makes an effort to impart his culture and scrumptious food even to our heartland. He only uses the best ingredients in his cooking at all time. His enthusiasm is infectious and this along with his patience makes him a wonderful teacher. Fabrizio is a true culinary master and a linguistic genius. Most importantly, he is an extremely sincere and humble man. I first met the Italian 3 years ago in Singapore, and connected immediately. His passion and love for the Italian Arts and Culture, as well as his contributions to the local Italian scene in Singapore were amazing. Trust this man to conjure up a delicious gourmet meal for you anytime, anywhere. Forza Lazio! Fabrizio is a wonderful teacher of Italian language and Italian culture. He teaches with passion and accommodates for different levels and different styles of studying of his students. He always gives you more of knowledge rather than less. He explains over and over again until he is sure that everyone in the class understood what he said. Fabrizio genuinely loves to teach Italian language and this allows him to conduct his classes in an interactive and entertaining way. I would recommend Fabrizio to anyone who wishes to study Italian language with no hesitation at all! I have always been interested in learning languages with the exception of Mandarin. Ever since my age was just a single digit, I was exposed to various foreign languages in the church that I attended as well as the neighborhood that I lived in. Unfortunately, for the life of me, I couldn’t seem to get past anything beyond a cheery hello and a general comment about how the other person smells. Most of the time, they replied with a shoe and that was the end of the conversation. If I could collect all the shoes that were hurled at me, I would have started a mega shoe shop by the age of 9. Sure, I could cuss a little in a few languages (many thanks to my many childhood playmates) but I knew that it would not take me far in life or help me make new friends. I needed help quickly and I needed help badly. And along came Monsieur Righi. He brought life, some drama and a breath of fresh air to learning new languages. The language classes were fun (they still are) and his humor is contagious and outrageously funny. Needless to say, his passion for languages is rubbing off me now. I now speak with an Italian accent, much to the bewilderment of my parents. I am also seriously contemplating taking up French from where I left off years ago, on top of the Italian language that I am currently undertaking as well as German. Yes, yes, you must think that I am loco loco trying to tackle so many languages at the same time but with Herr Righi as tutor, I know that I am in good hands. Did I ever mention that Messere’s chef skills are simply wowwee? Well, I just did. In fact, to be honest, he cooks way better than what my mother can do in her own kitchen but I know that if I said that in front of her, I would lose half my teeth, an eyeball and a few fingers. Nobody prepares ALMOND SORBET like he does. Absolutely mouth-watering goodness. And his CARBONARA? Oh gosh, I go for 3rd helpings. His PANNA COTTA? I finished a pint of it in one sitting just the other day. His endless variety of PIZZAS? Mamma Mia… need I say more? I cannot afford a visit to Italy on my miserable student allowance but I am so glad Italy came here. I get to experience Italy without having to go there myself. With the help of Fabrizio, the Italian experience is within arms reach. Where else can you find someone who can teach you the Italian language and culture and then you get to eat and learn how to cook Italian cuisine? Believe me it’s a lot of work and I admire his patience. It shows his genuine desire to share the beauty of the Italian culture and cuisine. He is the perfect example of one proud Italian!